LOS ANGELES (AP) — Leonardo DiCaprio will present his friend and collaborator Martin Scorsese the inaugural Robert Osborne Award for his contributions in keeping classic film relevant. Turner Classic Movies says Tuesday that DiCaprio will present the award on the opening night of the TCM Classic Film Festival on April 26 in Hollywood at the TCL Chinese Theater. 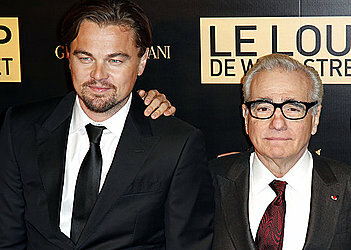 DiCaprio has starred in five of Scorsese's films starting with "Gangs of New York" in 2002. Their other collaborations include "The Departed," ''The Aviator," ''Shutter Island" and "The Wolf of Wall Street." The TCM Classic Film Festival is now in its ninth year. The event kicks off with the Robert Osborne Award presentation followed by a special screening of "The Producers," which Mel Brooks will be on hand to introduce.